Posted on November 21, 2017 by Barry V.
From my hotel in Great Barrington I drive east through the pastoral farmland of the Housatonic River Valley and into the Hill Towns: New Marlborough and Sandisfield. I pass through the little hamlets of Mill River, Montville and New Boston, and then on into Tolland. 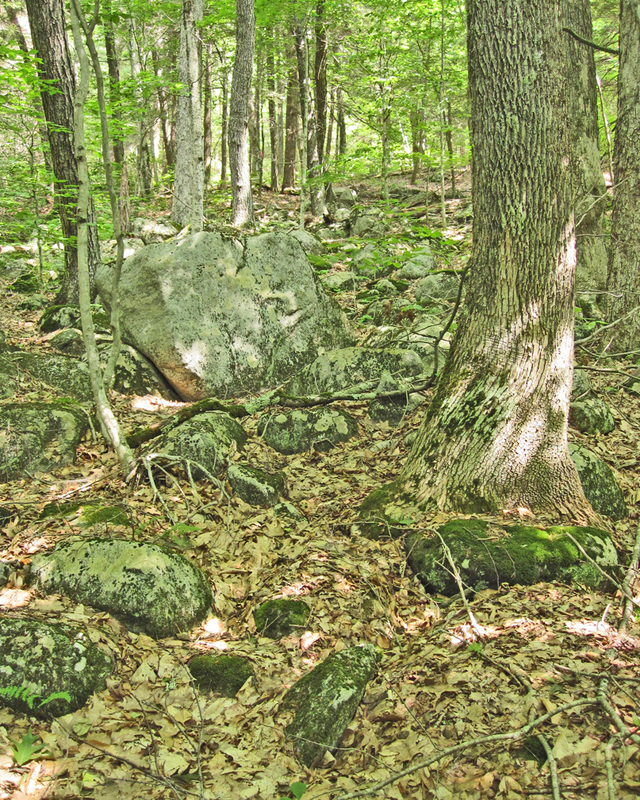 The parking for Richardson Brook Wildlife Sanctuary is simply a wide shoulder on the side of Rte 57, with the trails beginning beyond a break in the stonewall. The trails are all downhill to the brook, in some spots quite steep. 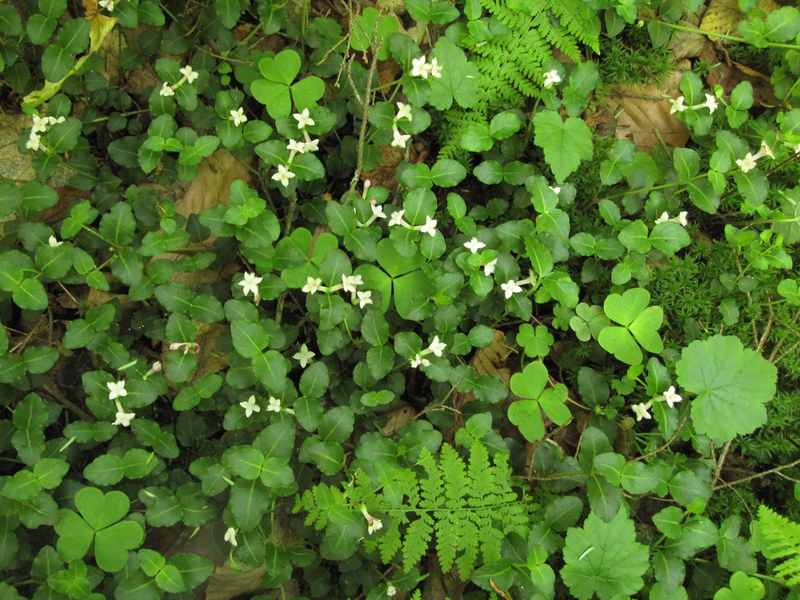 I follow the Charlotte Clark Loop Trail, then the Richardson Brook Trail. 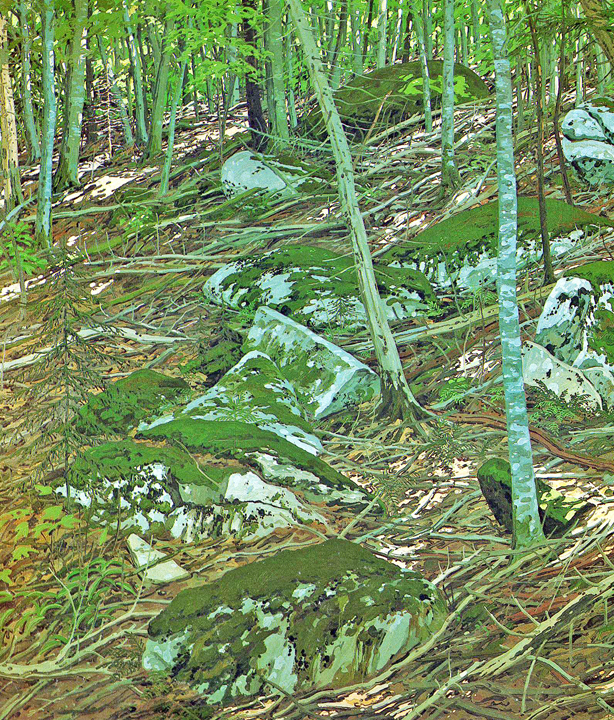 This photo I took of the boulder strewn woods along the Charlotte Clark Loop reminds me of a painting by the Maine artist Neil Welliver. 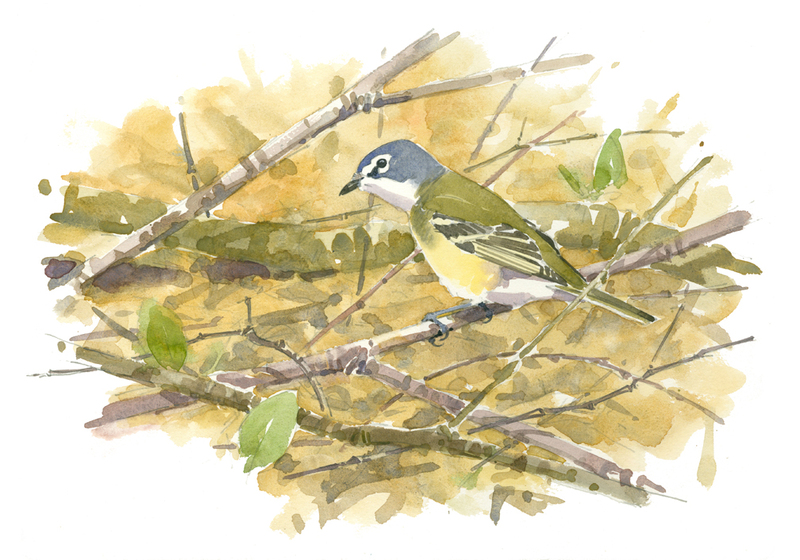 A flicker of movement draws my attention – it’s a blue-headed vireo foraging very LOW. It’s not typical behavior for this species, and I watch as it actively searches the forest floor – flitting from one low perch to another, but never actually landing on the ground. 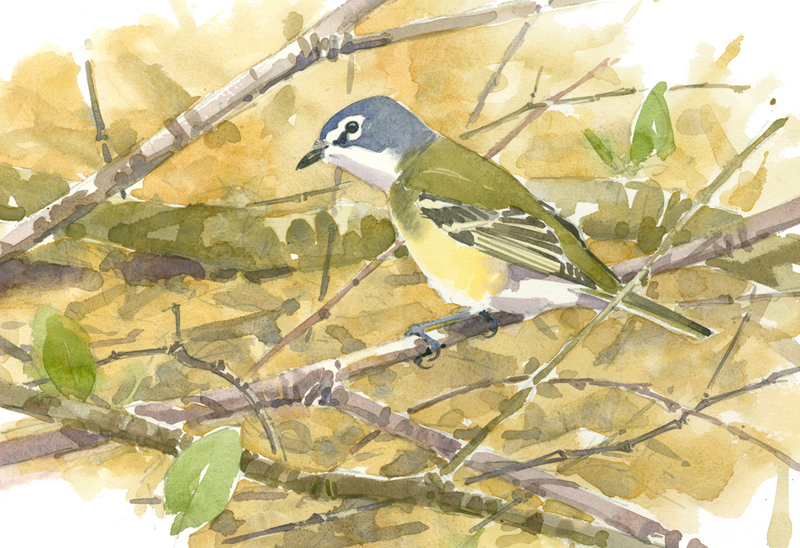 The soft, lemony wash on the flanks shows up well in the soft light of the understory, and the contrast of the white spectacles on its slate-blue head is striking! I make some quick sketches and take some notes. Arriving at Richardson Brook (which is also the southern boundary of the sanctuary), I see that the water levels are low, but the stream corridor is shady, moist and cool. 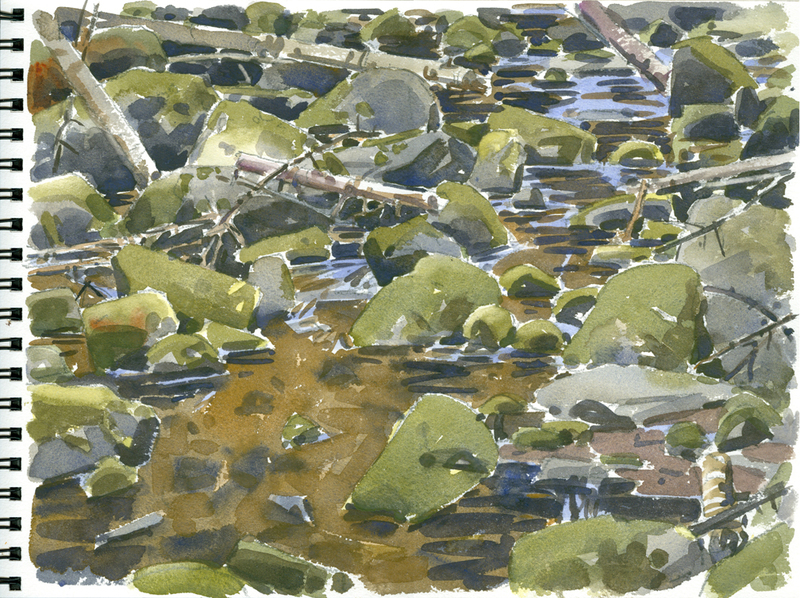 Little pools lined with golden gravel are tucked between moss-covered rocks and fallen logs. 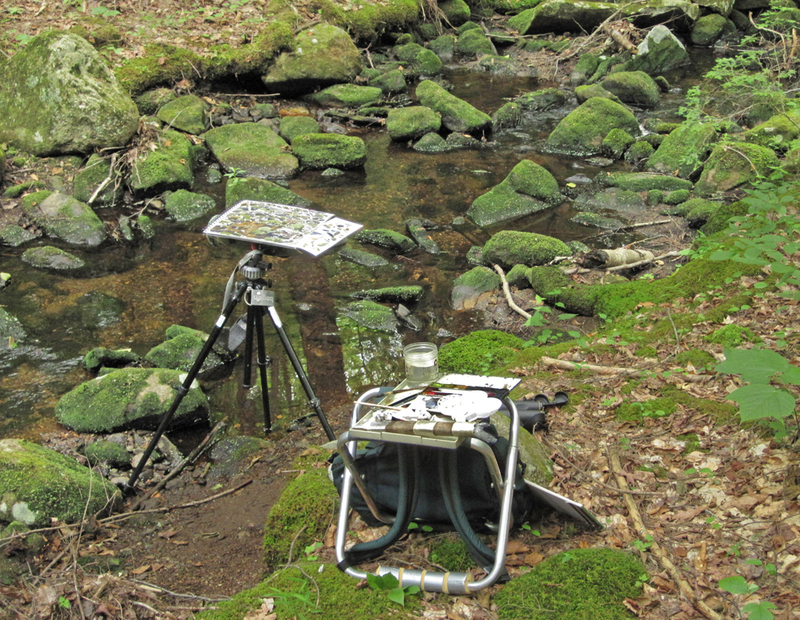 A Blackburnian Warbler murmurs overhead as I block in the brook with a soft pencil, then “jump in” with my paints (excuse the pun)! I paint the darkest accents first, which establishes the overall pattern of lights and darks. 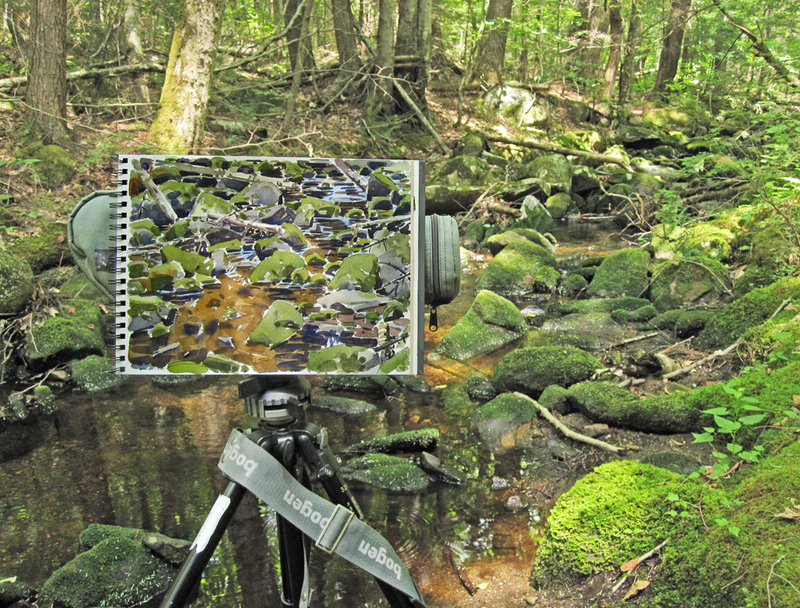 Next, I paint the pattern of greens on the mossy rocks, then the pools of water in between. With these initial washes in place, the picture starts to take on a life of its own. It starts making its own demands and leads me on to the next step. All I need to do is “listen” carefully and do what I’m told! The hike back to my car is all uphill, and a good cardiovascular workout. 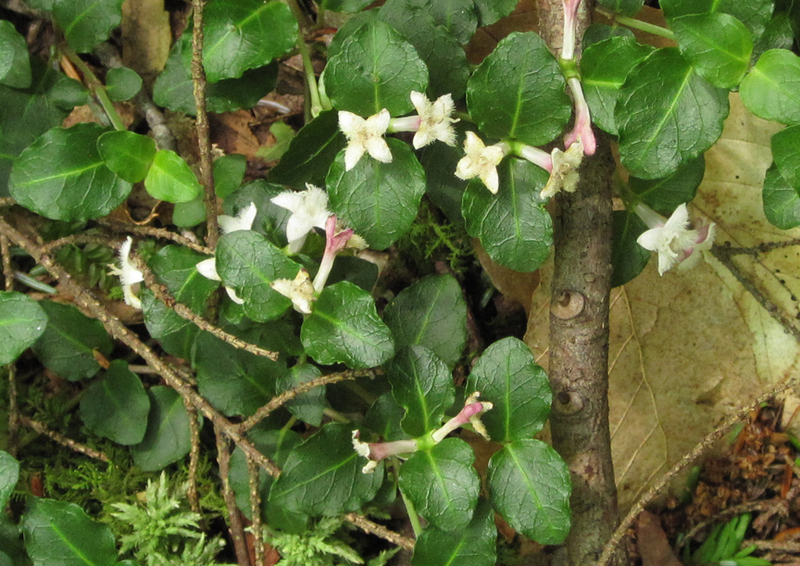 I pause to catch my breath and admire a dense patch of partridgeberry, spangled with those oddly furry white blossoms. 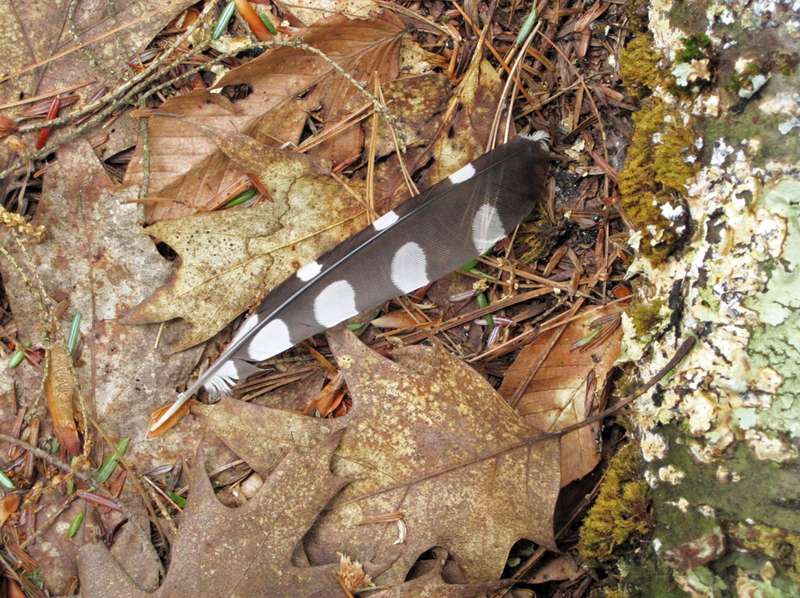 On another “rest stop”, I find a woodpecker wing feather, looking very “graphic” against the confusion of the forest litter. 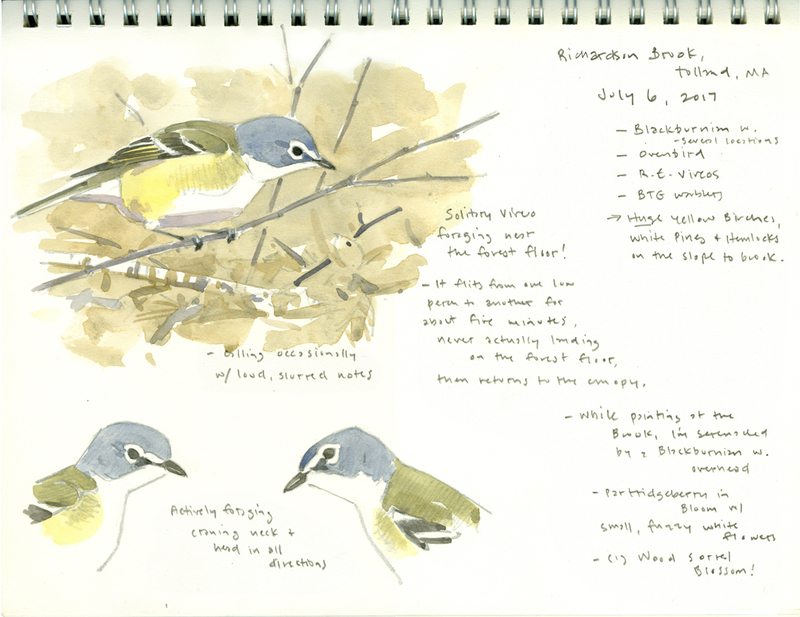 This entry was posted in Art Exhibition, Artists, Barry Van Dusen Residency, News and tagged Blackburian Warbler, Blue-headed vireo, Charlotte Clark Loop Trail, flicker, Great Barrington, Housatonic River Valley, Late Light, Mill River, Montville, Neil Welliver, New Boston, partridgeberry, Richardson Brook Trail, Richardson Brook Wildlife Sanctuary, Rte 57, Tolland on November 21, 2017 by Barry V..